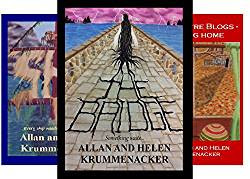 It's been 5 years since the Para-Earth Series was published and we're celebrating by making the e-book versions of our books available for just .99 cents a piece (normally $2.99 each). But this sale ends February 5th, so don't miss out. And the adventures are just beginning, for we have more books to unveil in the coming months so take advantage of this opportunity to get in at the beginning of this ongoing series which continues reveal a whole new vision of Parallel Earths unlike anything you've seen before. 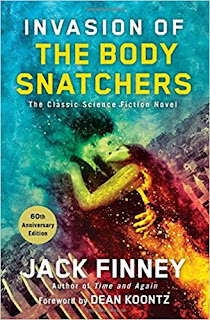 Review Of Jack Finney's novel "Invasion of the Body Snatchers"
Ever since the 1956 black and white classic movie "Invasion of the Body Snatchers" was released certain phrases became part of everyday life for most folks. I've heard things like: Pod person? Have you checked his/her basement for any giant seed pods? So-and-so is acting weird, you think he/she might've been switched by a seed pod? Dunno, if they did it's an improvement... (this one was directed at me more than once, fyi). But before the movie came the novel, a brilliant piece of fiction by Jack Finney (who also authored other great works such as "Time and Again", "The Night People" and many others which I hope to read and review down the road). However, it was "Invasion of the Body Snatchers" that captured the minds of readers. Released in 1955, it was subsequently snatched up by Hollywood to be made into a movie in 1956. ​​SMXLL Last year ended on a few rough notes for us, namely all our holiday plans for visiting family and friends were rudely interrupted by two very nasty cases of Flu and Bronchitis. 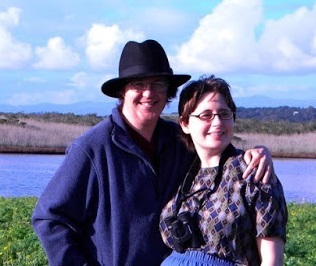 We are happy to report that the two of us are finally on the mend. However, life has been throwing us some other curve balls in the meantime, such as we are looking for a new place to live since our current location requires a commute to work that can last from 45 minutes to 1 1/2 hours one way, which means we spend a good 2-3 hours a day in the car going to and from our jobs. This is of course leaves us very little time for writing, editing, correcting or even braining story ideas.